The field of finance has evolved into several branches related to investment and financing activities that are undertaken by financial institutions and professionals. Credit analysis is not a field of finance, which is considered a science or a form of art. However, it is a study which allows finance professionals to acquire an accurate outline of a subject by not taking into consideration the previously reported statements of accounts. All this leads us to the definition of credit analysis. Credit analysis is a type of analysis which is performed by investors or bond portfolio managers on different companies and debt issuing institution. This analysis proves whether the companies are able to cover their debt obligations or not. The analyst’s work is set to recognize the suitable level of risk that comes with non-payment of the invested amount in the entity’s business. If an analyst identifies and recognizes companies that are in the process of changing their debt rating, investors and managers can effectively make speculations on the changes and make a profit out of it as well. In order for an individual to seek funding, whether from a bank or a relative, a potential lender will prefer to review his or her worthiness of credit. Keeping this in mind, the five Cs of credit analysis are designed to give a check list of the items that lenders usually look for. The capacity to repay the loaned amount is the most important factors that are considered by credit analysts when reviewing loans. It is the sole and primary source of payment form the borrower. The potential lender must know how the repayment is going to take place. At the time of the analysis, the lender will take into consideration the cash flows from the business, the time at which the repayment is going to be made and the chances of repayment of the borrowed amount. In this perspective, the payment history on existing loans and credit relationships is also reviewed. Lenders will also want to find out if the borrower has any alternative sources of repayment. Capital is the amount of money that an individual has invested into a business or new venture on a personal basis. It also indicates the amount of money that is at risk and to be paid back by the borrower. Lenders and investors who are willing to lend usually contribute from funds from their personal assets and have to take personal financial risk in order to launch the business successfully before any funding can be committed. Collateral are also known as guarantees. These are additional forms of security that can be provided to the lender. By giving lenders some collateral, a borrower can pledge certain assets they own. This collateral is treated as payment in case the borrower fails to repay the amount that was borrowed. Some lenders also require securities in addition to collateral before lending out funds to a business. Conditions are details that describe the purpose of a loan. The lender will also take into consideration the economic conditions and the climate of the industry before lending out funds. Character is the impression a borrower makes on the lender or investor. The lender will then form his or her own personal opinion about whether to lend or if the borrower is capable of paying back the amount that is lent out. In these instances, a borrowers educational back ground and experience in the business and industry is considered. The amount of investors and employees of the perspective business is also reviewed. CAREER TALK: HOW TO BECOME A CREDIT RISK ANALYST? In the recent times, studies showed that credit and equity analysts have gained influence and power due to their coverage of companies and financial institutions. However, it must be noted that anyone can be an analyst when the economy is booming and the conditions are favorable. However, one must always remember to be rational and realistic, and never hesitate to be critical in expressing concern over the operations of the company that is seeking funds from investors. There are some of the important things that are required to become a credit solutions analyst. In order to land a credit job, it is important to acquire a degree that is related to financial accounting, banking, statistics, principals of insurance and risk assessment. It is also necessary for students to complete an internship program at a financial institution of commercial bank so as to gain practical experience in the field. Credit analysts who are aspiring to become risk managers need to acquire a master’s degree in business administration, finance or economics. These degrees last about one year to two years. Credit risk analysts who have already acquired a bachelor’s degree and five years of professional work experience are eligible to take the CRC examination offered by the Risk Management Association. The computer based examination tests professionals on 126 multiple choice questions which need to be completed in about five hours. Those who pass the exam must maintain forty five units of Continuing Education in order to renew their certification after every three years. Credit risk professionals who want to advance to mortgage lending jobs can appear for the CMB certification examination from the Mortgage Bankers Association. This examination consists of a six hour written test and a one hour oral test. The written test is monitored at the test taker’s location, while the oral test is conducted by a certified member of the MBA at one of the official locations. Credit risk analysts are usually hired by investment and commercial banks, credit rating agencies, investment companies and other financial institutions. 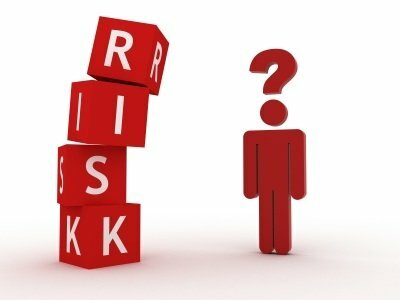 According to the US Bureau of Labor Statistics, credit risk analysts made a median salary of approximately $67,000 per annum in 2014. Prospects of employment show an increase of 10% between 2012 and 2022. Insurance underwriters are professionals who are involved in writing policies that cover risks. These risks may include car accidents, damage to the property or even illness. As per the statistics, insurance underwriter made a median salary of $64,000 per annum in 2014. Jobs for these professionals are expected to increase by 8% between 2012 and 2022. Risk managers are professionals who help in minimizing an organization’s financial risk by acquiring insurance for common issues such as employee lawsuits, injuries on the job or even natural disasters. Risk managers made approximately $81,000 per annum in 2014. The expected rise in jobs pertaining to risk managers is expected to increase by 9% between 2012 and 2022. This entry was posted in Jobs in Finance and tagged #credit, analyst work, business credit analysis, credit job, credit risk analytics, credit solutions analyst.